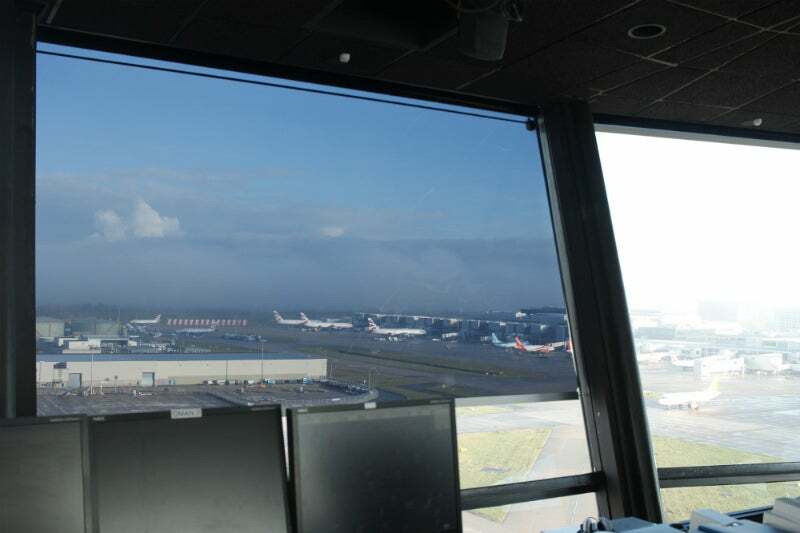 Reflex-Rol was called in to refurbish the existing shade system at Gatwick Control Tower, UK. The existing system had been installed by one of Reflex-Rol’s competitors some three years ago but due to excess use of plastic components, it had started to fail. Reflex-Rol initially lost the contract to its competitor, but within three years it was clear that cheaper plastic components proved expensive in the long run and a full refurbishment and partial replacement had to be undertaken. The pictures show the difference between ‘shaded’ and ‘unshaded’ windows; clarity of vision is critical in an air traffic control tower (ATCT) / visual control room (VCR) and the company’s AR760 daylight filter affords staff in the VCR exactly that; glare free clarity of vision. The AR760 daylight filter has established itself on the world market for VCRs and it is the only material worldwide to come fully tested and certified by an independent organisation and not just ‘the company figures’. The tower at Gatwick will now be good for many years to come.